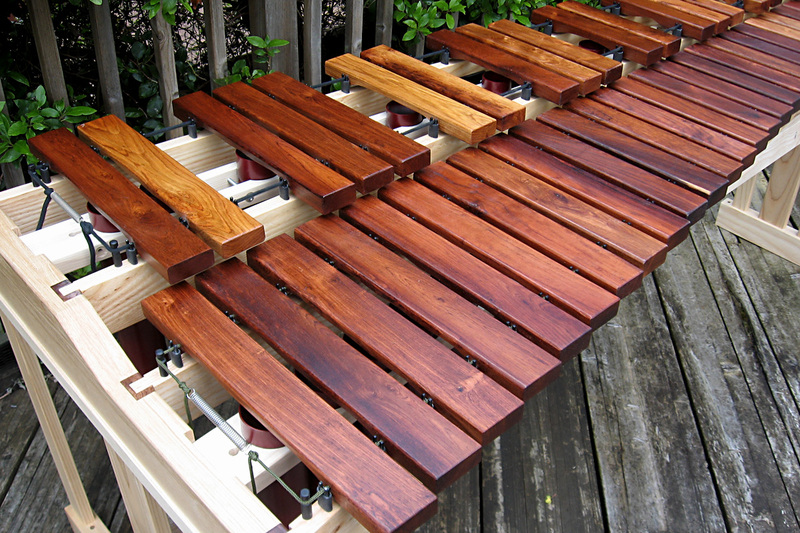 We interrupt our series on Herman Winterhoff for an update on my "vintage" xylophone build (I suppose that should be "semi-vintage", a true vintage xylo would be a strohfiedel). 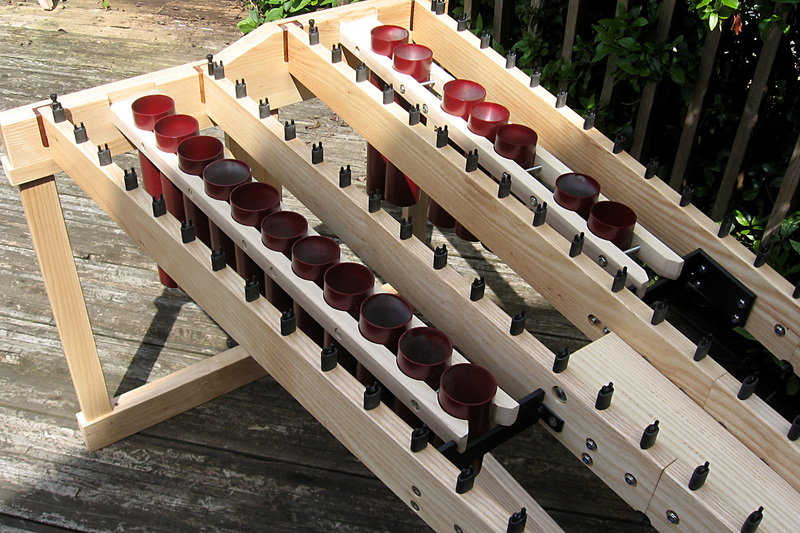 The instrument is finished except for a final round of tuning (and fitting castors). When I started making marimbas and xylophones someone said "So where do you get the bars?" -- I was tempted to reply "Ikea" but the real answer is I get them from a tree. I must admit I didn't select and fell and mill and season the tree myself, that was done by helpful people in Central America. 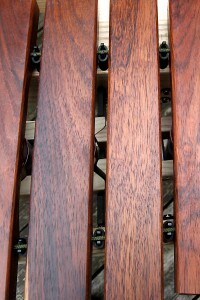 The resulting sawn boards came to the UK (probably years ago) as a teeny part of the international timber trade. -- the point I am making is not that you have to be a prodigious talent to do all this, but rather that if you could buy a set of bars off the shelf, you would have let someone else make all these decisions for you. 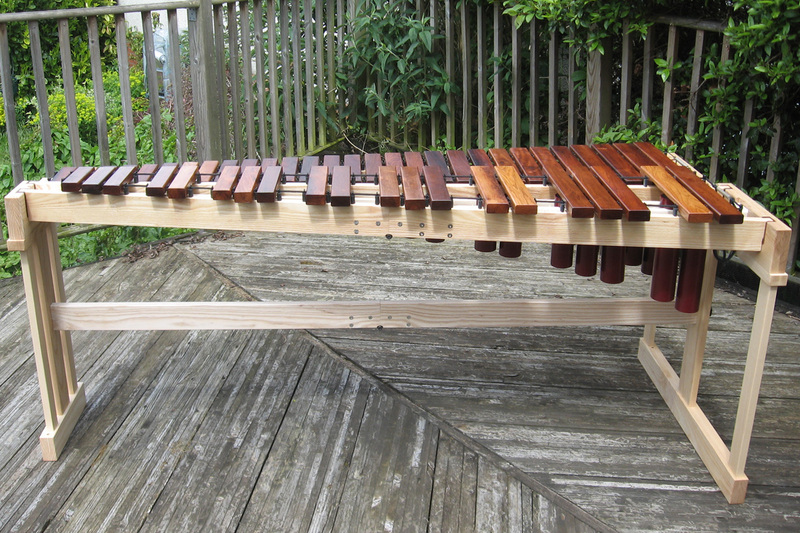 For this instrument, I decided to go back in time to the xylophonic golden age and so prepared a set of large and heavy bars; not because bigger is better, but, as discussed in What is a xylophone Part Two, to see if this produces a more xylophone-like xylophone, something that's definitely NOT a "piccolo marimba". 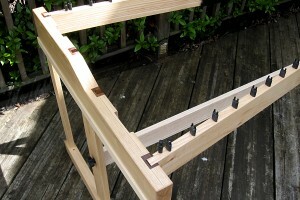 The frame is made of ash, a temperate hardwood that is inexpensive, strong, stable and not too heavy. 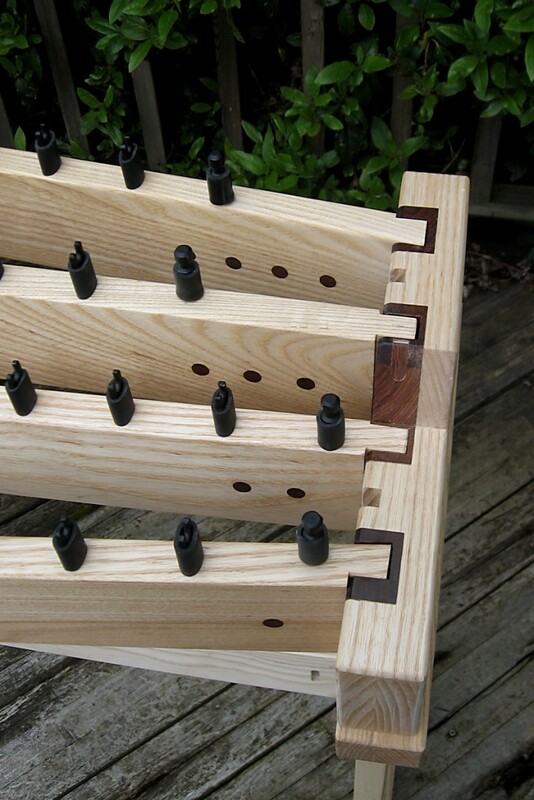 I also like the way it looks -- even when finished (oil, polish etc) to a good joinery standard, it never looks la-di-dah, but ...well, just like wood, you know? To fit into the back seat of your mini, the rails are of course hinged -- and a marimba/xylophone rail hinge is something else you can't get at Ikea or Home Depot. 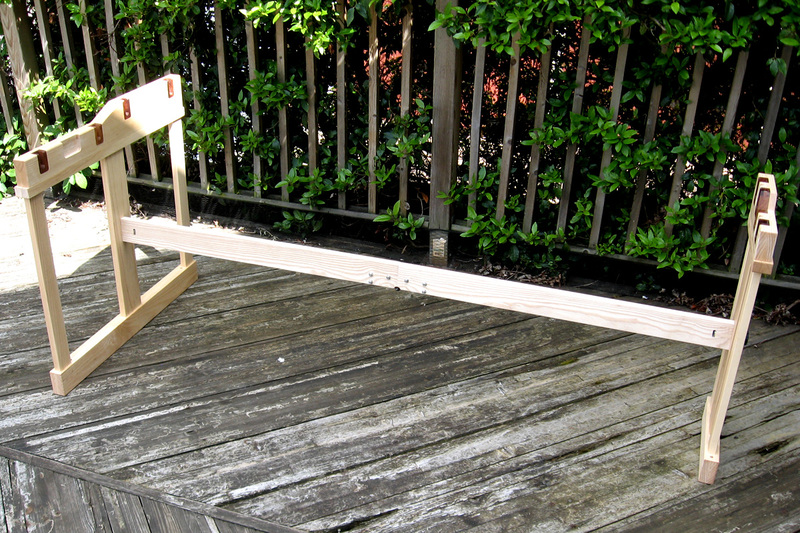 I make mine of steel, and fit them within the body of the rail itself. 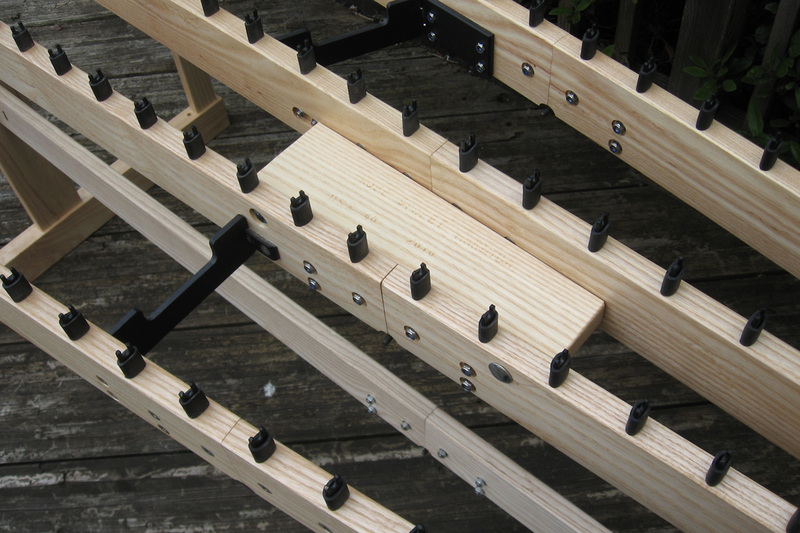 The rails slot into precisely cut locations in the end frames (no bolts or screws needed); a central alignment block and integral steel braces keep the geometry of the frame rigid (and support the modular resonator assemblies). This frame will not sag or go out of true. 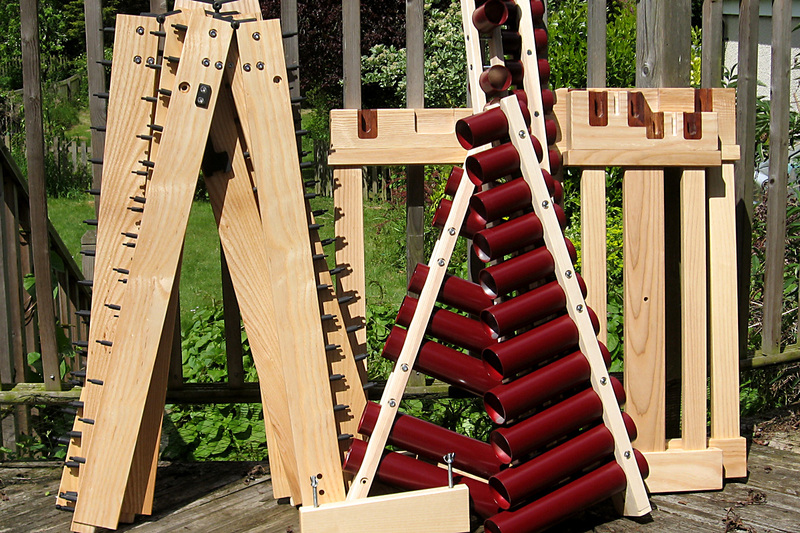 I'm always happy to demonstrate instruments to any interested parties; do get in touch if you want to check it out. 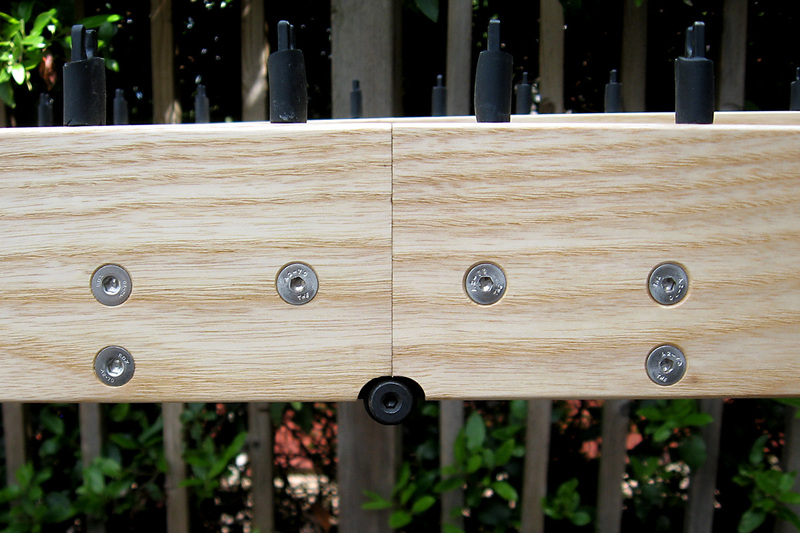 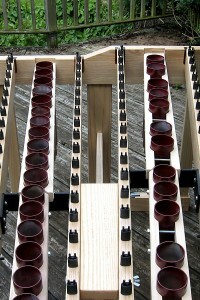 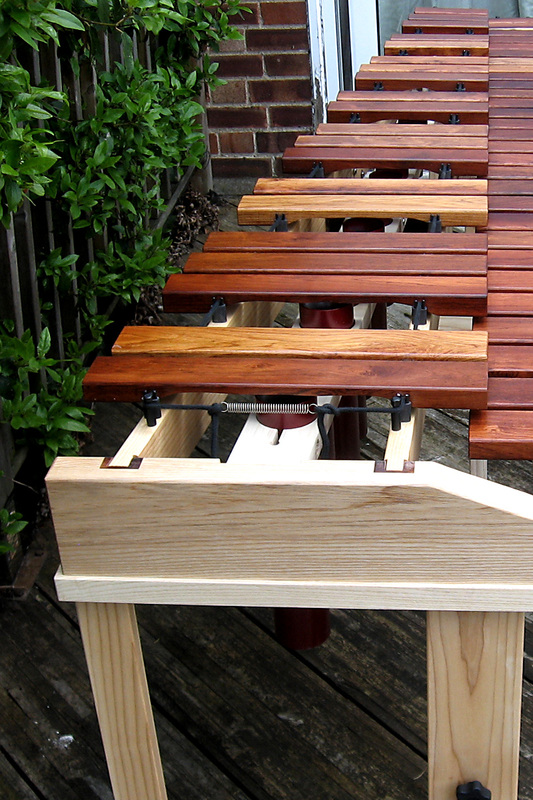 This xylophone is designed throughout to be true to the original concept of presenting a particular style of keyboard. It is of course possible to start the whole process from the other end ... what would you get if your main aim was quite different? 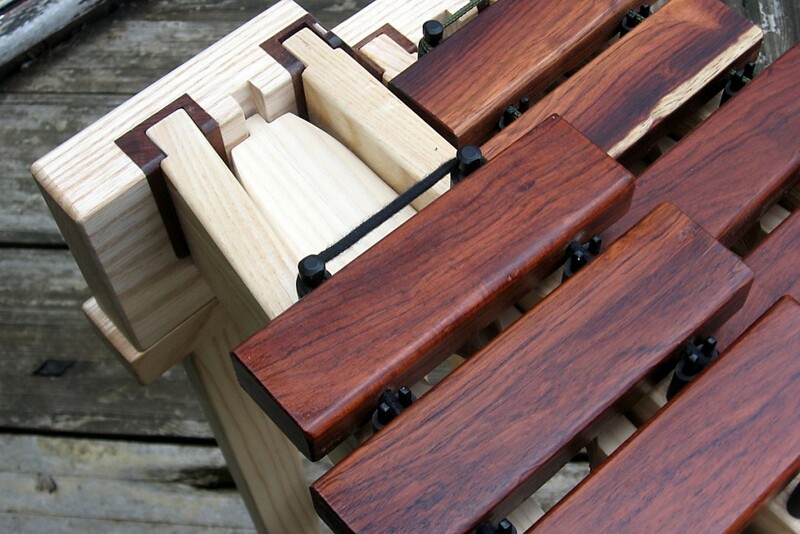 If you decided that portability and compactness were the priorities, what decisions would follow then? 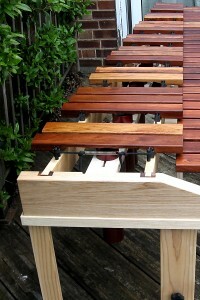 Next article:So who invented the marimba?